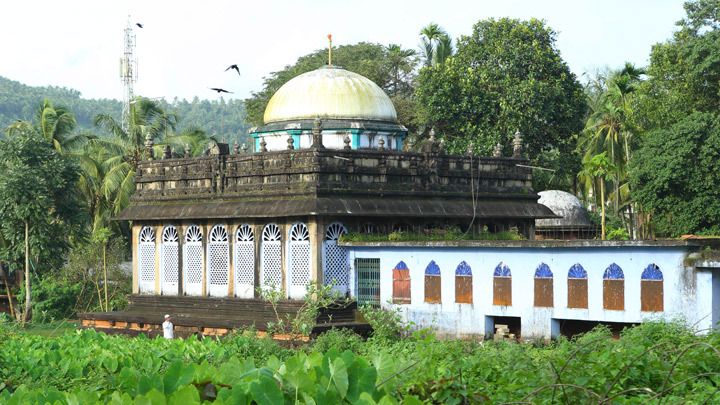 Considered to one of the “most pious mosque” in Kerala is the Pazhayangadi Masjid. This “old” mosque is located in a city called Malappuram. This mosque is said to have been built in honour of an ardent devotee of Islam called Mohammad Shah who was also known as Kondotty Thangal. In addition, this mosque is renowned for its magnificent architecture and for its beautiful white coloured dome. Furthermore, this mosque is also known for popular festival called “Valiya Nercha” celebrated annually in between February and March. The ideal time to visit this mosque is from October to February during the winter season when the climate is extremely pleasant with the mercury dropping to about 15 degree Celsius. The nearest railway station to this mosque is located in Kozhikode i.e. Calicut. The Kozhikode Railway Station is well connected to major cities in the country. If you intend to drive to this mosque the ideal starting points would be Mangalore, Kannur, Thrissur, Coimbatore, and Bangalore. There are three routes from Mangalore to this mosque, and they are via NH66, via NH275 and NH66, and via NH275. There are two routes from Kannur to this mosque, and they are via NH66 and via NH66 and Koyilandy Edavanna Road. There are three routes from Thrissur to this mosque, and they are via KL SH39, via Kolathur Malappuram Road, and via Kodungallur Shornur Road/Thissur Shoranur Road and Kozhikode Malappuram Palakkad Highway. There are three routes from Coimbatore to this mosque, and they are via Kozhikode Malappuram Palakkad Highway, via NH544, and via Mannarkkad-Anakkati Road. There is no religious significance or myth attached to this mosque apart from the fact that this mosque was constructed in honour of an ardent follower of Islam called Mohammad Shah. Furthermore, this mosque is known for its beautiful white dome.